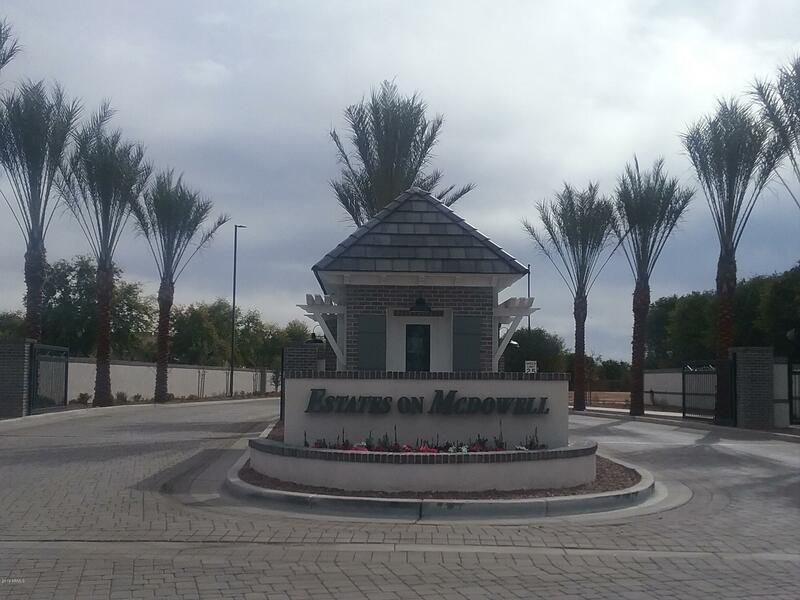 All ESTATES ON MCDOWELL homes currently listed for sale in Mesa as of 04/23/2019 are shown below. You can change the search criteria at any time by pressing the 'Change Search' button below. "YOUR DREAM ESTATE AWAITS YOU! ''ESTATES ON MCDOWELL'' OFFERS 3/4 OF AN ACRE HOMESITE WITH BEAUTIFUL FULL-GROWN CITRUS TREES SURROUNDING IT. THIS SPEC HOME OF OUR RESIDENCE 9 IS UNDER CONSTRUCTION, WITH AN ESTIMATED COMPLETION DATE OF THE END OF JULY. IT IS APPOINTED WITH AMAZING STANDARD FEATURES, AS WELL AS SOME AWESOME UPGRADES! RV GARAGE WITH ATTACHED CABANA, GRANITE COUNTERTOPS, UPGRADED CABINETS, WALL OF GLASS AT GREAT ROOM, STAINED BEAMS, OVERSIZED MASTER SHOWER, GENEROUS RECESSED CAN L"
"NEW CONSTRUCTION-LUXURY AND TIMELESS DESIGN TO A VERY SPECIAL ''INFILL LOCATION'' THAT WILL NEVER EXIST AGAIN. 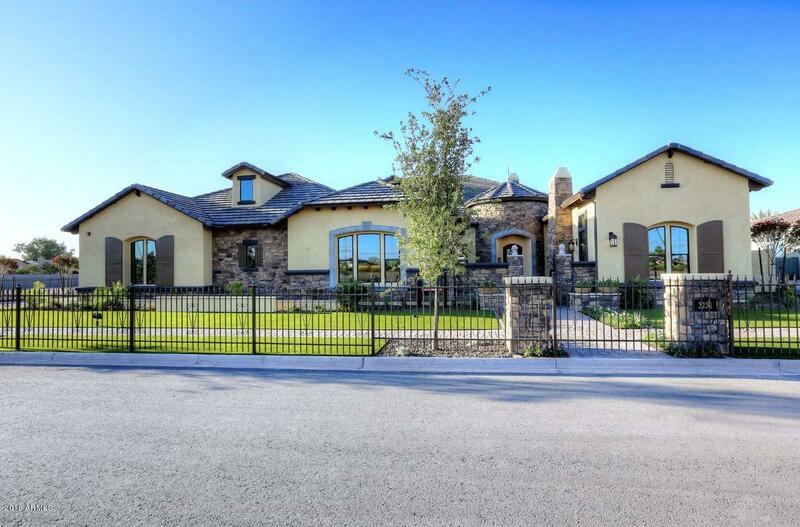 ANNOUNCING ''18'' 35,000 SQUARE FOOT HOME-SITES ALL 3/4 ACRE IN THE BRAND NEW COMMUNITY ''ESTATES ON MCDOWELL'' Beautiful Mature Trees lined on all property sides. The Charm, Space and Privacy is untouchable in the Valley. Stunning All Single Level Homes, Detached Guest Homes, RV Garage, Detached Cabana with Homes ranging from 3555-5245 Sq Ft. PHOTOS ARE OF THE MODEL. This is a base pri"
"NEW CONSTRUCTION-LUXURY AND TIMELESS DESIGN TO A VERY SPECIAL ''INFILL LOCATION'' THAT WILL NEVER EXIST AGAIN. ANNOUNCING ''18'' 35,000 SQUARE FOOT HOME-SITES ALL 3/4 ACRE IN THE BRAND NEW COMMUNITY ''ESTATES ON MCDOWELL'' Beautiful Mature Trees lined on all property sides. The Charm, Space and Privacy is untouchable in the Valley. Stunning All Single Level Homes, Detached Guest Homes, RV Garage, Detached Cabana with Homes ranging from 3555-5245 Sq Ft.RV Garage Included with Base Price amazing b"
"NEW CONSTRUCTION-LUXURY AND TIMELESS DESIGN TO A VERY SPECIAL ''INFILL LOCATION'' THAT WILL NEVER EXIST AGAIN. ANNOUNCING ''18'' 35,000 SQUARE FOOT HOME-SITES ALL 3/4 ACRE IN THE BRAND NEW COMMUNITY ''ESTATES ON MCDOWELL'' Beautiful Mature Trees lined on all property sides. The Charm, Space and Privacy is untouchable in the Valley. Stunning All Single Level Homes, Detached Guest Homes Available, RV Garage, Detached Cabana with Homes ranging from 3555-5245 Sq Ft. RV Garage Included with Base Pric"
"Huge 3/4 Acre Lots Surrounded with Beautiful Mature Trees lined on all property sides. The Charm, Space and Privacy is untouchable in the Valley. Stunning All Single Level Homes, Detached Guest Homes, RV Garage, Detached Cabana with Homes ranging from 3555-5245 Sq Ft. RV Garage Included with Base Price amazing builder incentive! PHOTOS ARE OF THE MODEL. This is a base price on Residence 7 Old World Elevation. 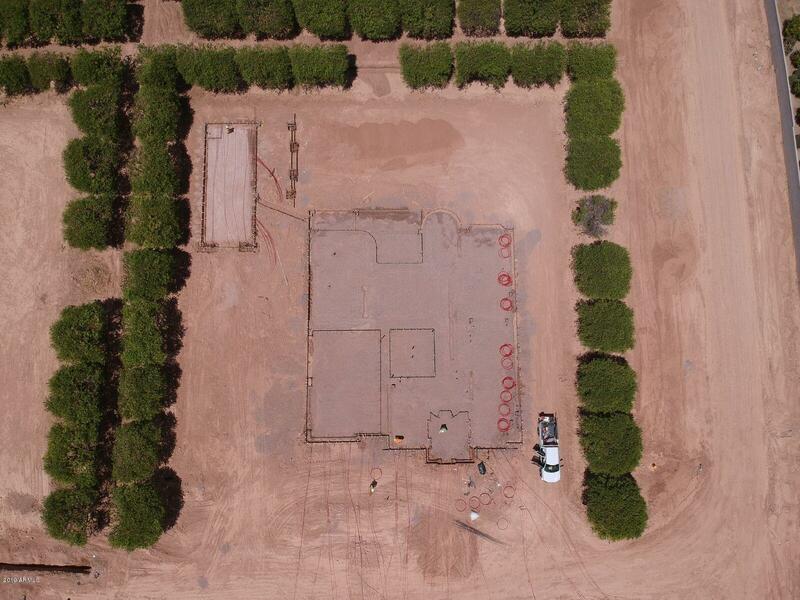 Base Price does not include: Lot premium, backyard landscaping, pool or upgrade options"